These disclaimers are regarding the free articles available on this site. This website is intended to provide educational information on topics related to social and personal development. In making these articles available, the publisher is not engaged in rendering legal, medical, financial, or other professional services. If expert assistance is required, please seek the services of a competent professional. THE INFORMATION ON THIS SITE IS PROVIDED "AS-IS". THE AUTHOR AND THE PUBLISHER WILL ASSUME NO LIABILITY NOR RESPONSIBILITY TO ANY PERSON OR ENTITY WITH RESPECT TO ANY LOSS OR DAMAGE RELATED DIRECTLY OR INDIRECTLY TO THE INFORMATION ON THIS SITE. NO WARRANTIES OF ANY KIND, EXPRESS OR IMPLIED, ARE MADE. THE PUBLISHER WILL PROVIDE NO REMEDY FOR INDIRECT, CONSEQUENTIAL, PUNITIVE OR INCIDENTAL DAMAGES ARISING FROM THIS SITE, INCLUDING SUCH FROM NEGLIGENCE, STRICT LIABILITY, OR BREACH OF WARRANTY OR CONTRACT, EVEN AFTER NOTICE OF THE POSSIBILITY OF SUCH DAMAGES. Links to external, or third party websites, are provided solely for visitors' convenience. Links taken to other sites are done so at your own risk and the publisher accepts no liability for any linked sites or their content. When you access an external website, keep in mind that www.succeedsocially.com has no control over its content. 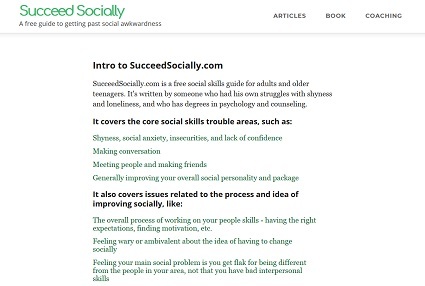 Any link from www.succeedsocially.com to an external website does not imply or mean that www.succeedsocially.com endorses or accepts any responsibility for the content or the use of such website. www.succeedsocially.com does not give any representation regarding the quality, safety, suitability, or reliability of any external websites or any of the content or materials contained in them. It is important for users to take necessary precautions, especially to ensure appropriate safety from viruses, worms, Trojan horses and other potentially destructive items. www.succeedsocially.com seeks to ensure that all content and information published at this website is current and accurate. The information at www.succeedsocially.com does not in any way constitute legal or professional advice and www.succeedsocially.com cannot be held liable for actions arising from its use. 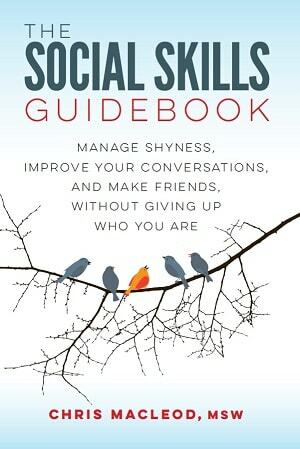 In addition, www.succeedsocially.com cannot be held responsible for the contents of any externally linked pages.